Putting forward the example of his son, he mentioned that the disease is beatable. He thanked everyone for their prayers and good wishes. Emraan Hashmi is all set to make his Bollywood comeback with his upcoming movie “Why Cheat India” which is a comedy-drama directed by Soumik Sen. While his return is a moment of happiness, there is something more significant and elation which makes the hour a special one for him. 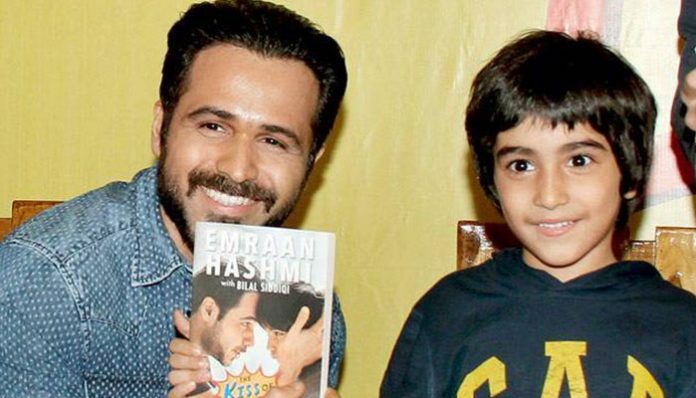 It is news of immense pleasure and joy that after 5 years of struggle, Emraan’s 8-year-old son has been declared cancer-free. The actor himself confirmed this great news through social media. In the year 2014, Ayaan was diagnosed with a rare case of kidney cancer. Along with Bilal Siddiqui, Emraan wrote a book called ‘The Kiss of Life: How A Superhero and My Son Defeated Cancer’ to share hid son’s story and spread awareness about the disease. Putting forward the example of his son, he mentioned that the disease is beatable. He thanked everyone for their prayers and good wishes.